Martin Luther King, Jr. died 50 years ago today. 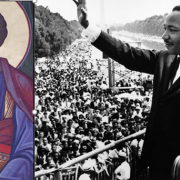 Join Adam Ericksen as he explores a new book about King's legacy and the work that we still need to do! 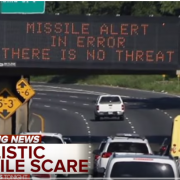 After a false missile scare leaves Hawaii in panic and awakens the world to the possibility of nuclear war, Robert Koehler calls on the wisdom of Martin Luther King Jr. to lead us to disarmament and salvation. Martin Luther King Jr had a dream. Recent comments made by President Trump remind us we still have a long way to go in fulfilling King's dream. In his latest sermon, Adam Ericksen explains how King's dream was deeply rooted in the Judeo-Christian story. 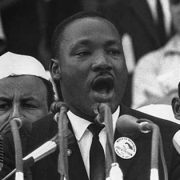 50 years after Dr. Martin Luther King Jr.'s "Beyond Vietnam" speech, the desperate, angry, rejected people suffering from wars multiply as the United States undermines peace around the world. Yet with the Afghan Peace Volunteers, Kathy Kelly has found women and men working for peace in the midst of near-hopelessness. Their story should inspire the same tireless effort for peace in all of us. Donald Trump's naked belligerence may just be what America needs to unmask the horrors our militarism, Robert Koehler suggests. "Suddenly the U.S. president is Julius Caesar (or maybe Caligula) with orange hair... so blatant blatant he awakes the snoozing American conscience. And the awareness and the anger stirred into being become a movement... a deep and profound cry for atonement..."
1st Corinthians 13 is not just for Hallmark cards, Your Voice author Samuel Son claims. It is a declaration of resistance. "Saint Paul, the birther of this poem, is resistant-par-excellence. Because for Paul, a Christian is a resistant of love." 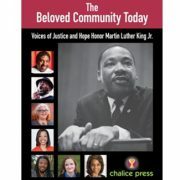 “The ultimate weakness of violence is that it is a descending spiral, begetting the very thing it seeks to destroy.” Robert Koehler echoes Dr. King's prescient words as the cycle of violence churns on, with shootings on Martin Luther King day in Chicago, Miami, and around the world and an unending global war of terror. Dr. King's wisdom, moral courage and compassion are needed now more than ever. Faith and Families Series: The Persistent Widow – Is God Even Listening? What's the point of prayer? How can prayer lead to more love and justice in a wold that so often seems unjust? What are some good ways to teach children to pray? Adam Ericksen explores these questions as he begins his series on Faith and Families. Dr. Martin Luther King Jr said, "A riot is the language of the unheard." Lindsey Paris-Lopez strives to hear the pain of generations of systemic racism through the flames of the Milwaukee uprising, and find empathy for all involved.